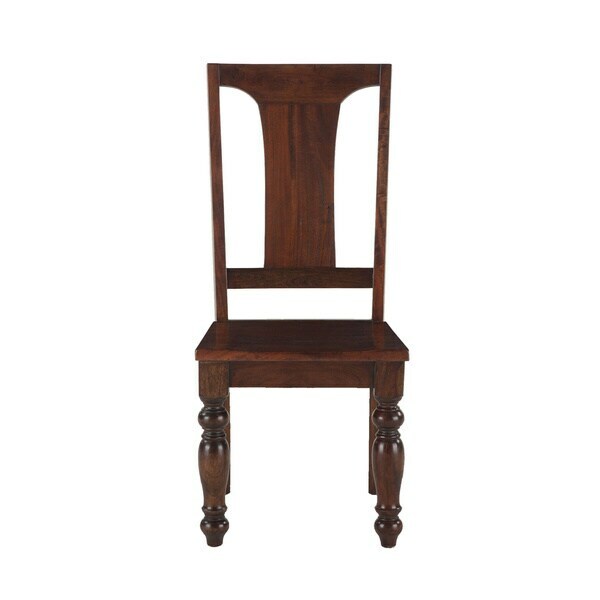 Upgrade the seating options in your formal dining room by adding several of these solid wood chairs to your set. Crafted of 100% reclaimed neem wood, this elegant yet durable dining chair boasts an antique-rubbed, dark chestnut lacquer finish to highlight the hand-hewn inlaid design of the handsome turned legs. The beautiful neem wood is naturally dense and strong with natural variations, making a charmingly unique work of art in each piece that will bring eco-friendly elegance to every meal. Dimensions 21.0 In. X 19.13 In. X 42.0 In.